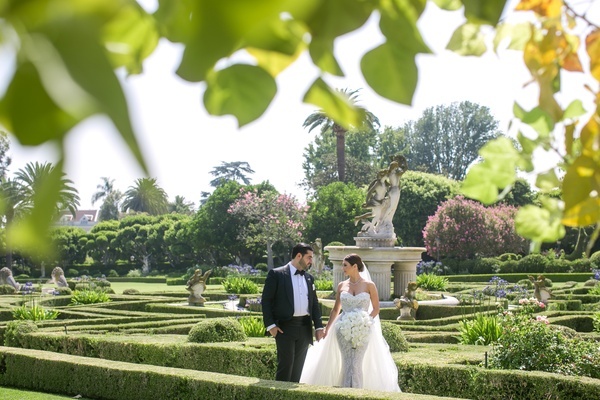 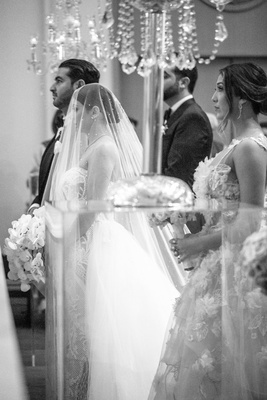 Nicole Bakti and Harut Kavoukjian knew each other for a year before they went on their first date, so after he proposed in a rose-filled room, they wasted no time in planning their wedding. 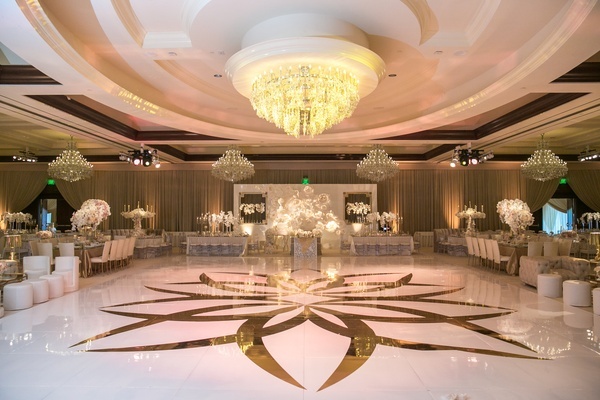 With the help of an event consultant, everything came together in just eight short months – no easy task with a guest list of 650 people. 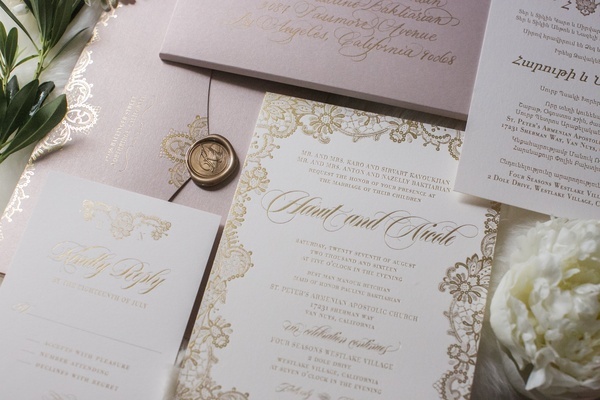 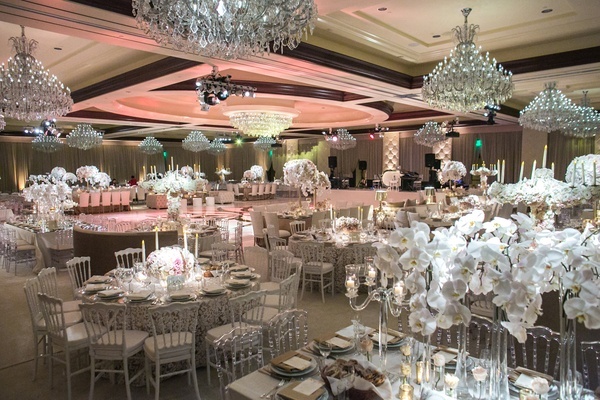 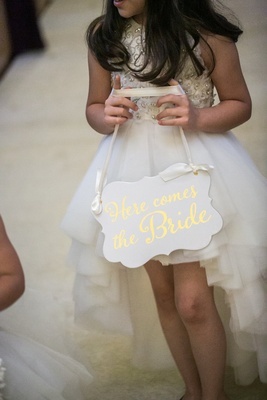 Following the traditional vow exchange held in a church, guests traveled to a nearby luxury hotel to enjoy dinner in a lavishly decorated ballroom. 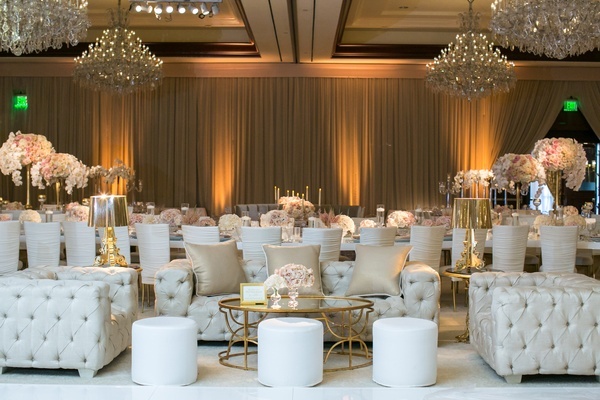 With the amount of attendees at the reception, a variety of seating styles was necessary. 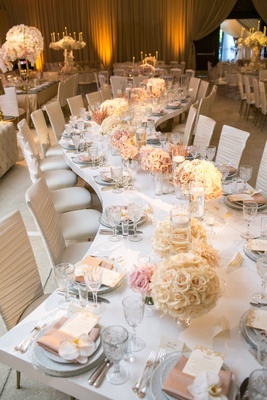 White acrylic chairs were complemented by seats featuring chic cream covers. 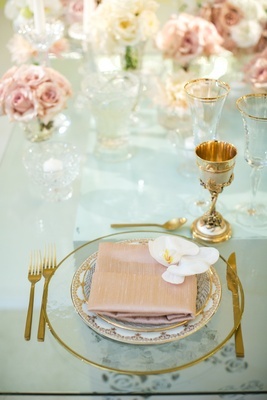 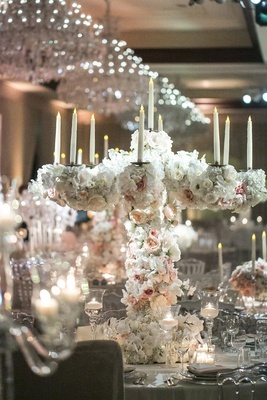 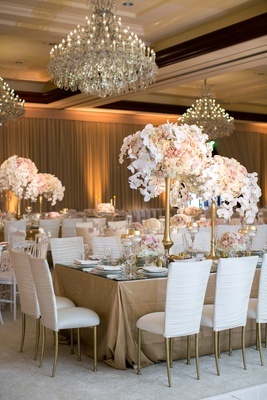 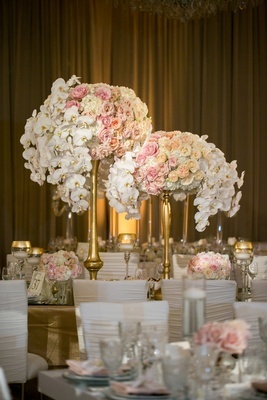 Round tables alternated with tall centerpieces of roses showcasing cascading orchids and candelabra covered in blooms. 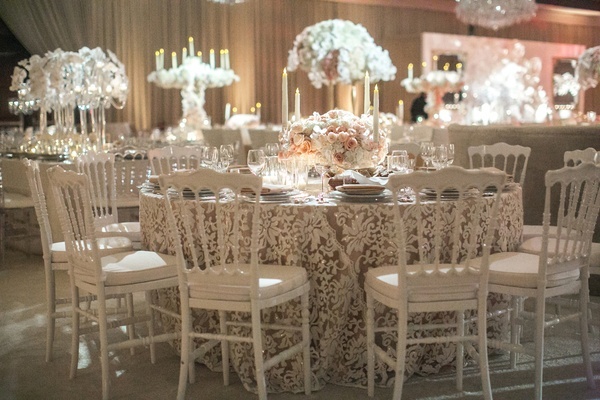 A unique serpentine table had round arrangements of ivory roses interspersed along the center. 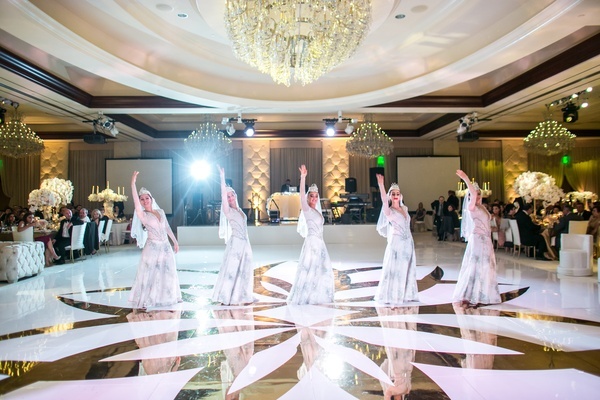 As a surprise from the mother of the groom, a group of Armenian dancers performed for the guests, kicking off a party that lasted until 2AM. 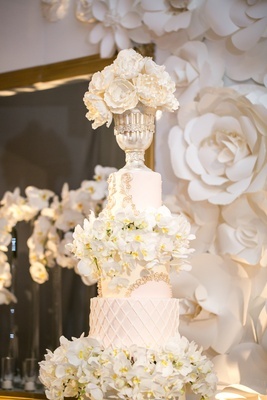 The revelers were sustained with slices of the delicious and beautiful cake – a towering confection featuring different textures on each tier. 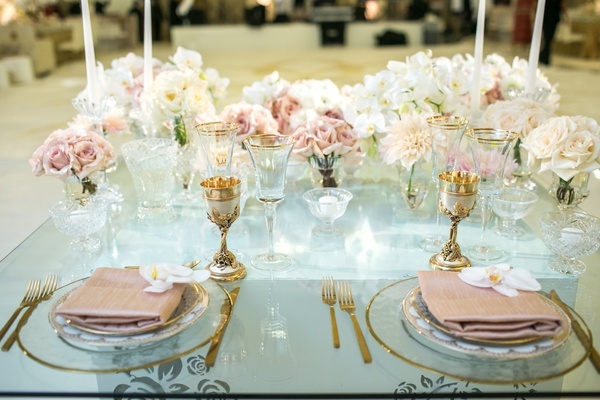 A chalice filled with sugar peonies adorned the top, while the space between layers overflowed with orchids, until they flowed from the cake table to the floor.